When you visit Eyes Over Copley, our team works with you to ensure you get just the right look and fit for any eyeglasses or sunglasses you purchase. Your sunglasses need to look impressive, but they also need to offer the highest level of protection for your eyes as well. We offer a wide selection from which you can choose. When you visit your eye doctor near Boston, Dr. Fox, you’ll get a new prescription for the sunglasses you need. Then, our team will go to work helping you find a fantastic option. 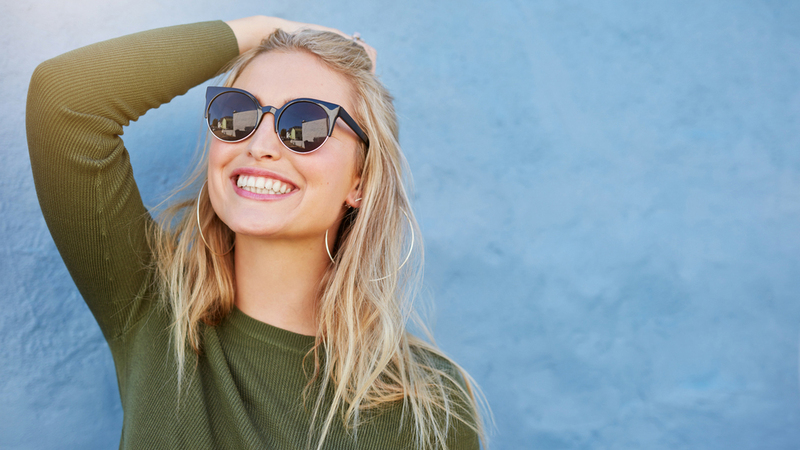 When you come in to see your optometrist for an eye exam, we’ll provide you with guidance on how to select the right sunglasses for your vision. However, you’ll then need to shop for the right frames and lenses. We offer a variety of lenses from which you can select, but you should learn about the key features of them. UV, or ultraviolet, rays are dangerous to the eyes. Any sunglasses you purchase should provide UV protection. UV radiation can cause the proteins located in the lens of the eye to become cloudy, a condition known as cataracts. This can reduce your vision quality and, in some cases, to see colors. While cataracts are treatable with surgery, you can avoid UV ray-caused cataracts by wearing proper sunglasses to protect your eyes. We recommend selecting sunglasses that provide at least 99 percent blockage of UV rays. Look at the label to determine how much protection the sunglasses offer. Your optometrist recommends selecting products that block 75 to 90 percent of visible light for optimum protection and glare protection. Another product you’ll find available to you from your eye doctor are polarized lenses. These work to filter out some types of light – especially bright light that’s often blinding. This type of light is common when boating (from the water) or while driving. Look for a pair of sunglasses with polarized lenses to ensure you can see well even in this type of intense light. Though your eye doctor can make specific recommendations for you, you may want to look for sunglasses that offer additional features. For example, it’s often best to look for sunglasses designed to fit your face properly. Clip-on and wraparound glasses can help to add more protection, especially if you are playing contact sports. And, if you are currently wearing contact lenses, we recommend speaking to your optometrist about the benefits of UV-blocking contact lenses. We can alter your prescription to ensure this is available to you. Wear these contact lenses alongside a pair of non-prescription sunglasses for ample protection to your vision. It takes just a minute to schedule your eye exam with your eye doctor near Boston. Contact our team today to discuss the specific types of eyeglasses, sunglasses, and contact lenses best for your needs. Contact Eyes Over Copley for an appointment at 617-859-0630.